I suppose many of us have experienced in our lives a moment when we want something, when we feel like we need something or someone so badly that it almost hurts. It may be a particular property, a car, a deal from the bank or even being with someone we love. We pine after that special something or someone that we think would give more value to our lives. We would give anything for it. In today’s second reading, Paul is expressing precisely the same feelings. He wants something so much that he would be willing to surrender everything, even his very life in Jesus Christ in order to achieve it. Paul is in anguish because he cannot seem to get what he most desires. What he wants is the conversion of his own kindred, of his own people according to the flesh. Their reticence to accept the message of the Gospel, brings Paul to wish that, if it were possible, he would gladly give himself up to be cut off from Christ for the salvation of the Israelites, his own people. Have you ever been in a similar situation? Have you ever prayed that God would spare sufferings from the ones you love, while offering yourself up instead? I know I have; and I know that that’s what Paul is doing here, even though he knows that this exchange is not possible. He says: ‘I could wish that I myself were accursed and cut off from Christ for the sake of my kindred according to the flesh’. Paul highlights what is the only thing that could be actually worth wishing our lives away, and this is for our own families and friends to accept the message of the Gospel. In addition, throughout his ministry Paul also gave us an example of how to achieve – even only in part – this goal; that is, by focusing on Christ and sharing our life and our resources with others. In other words, we are called to share what we are with others for the sake of the Gospel because mere wishful thinking is not good enough for the task. God does the rest. And so we come to our Gospel reading. Like the crowd that followed Jesus, our world is hungry and stranded in a deserted place. Hungry for hope and for something to believe in, our society has many burning questions and sometimes it forcefully demands answers from Christians about our beliefs. And we... we have just the five loaves and two fish of our faith. It’s not much. Indeed, most of the times many of us don’t even believe we can make a difference in promoting the Gospel among our friends and families, let alone among strangers. And yet Jesus is among us. He is the one who tells us to feed the people. He looks around our world, our society and says ‘You give them something to eat!’. The five loaves and two fish we have for our own journey, these things He wants us to share in an effort which would seem to leave nothing for ourselves and would feed very, very few. Again though, Jesus is among us. Whether we a little or a lot of faith, whatever resources we have, he wants us to surrender them to Him. 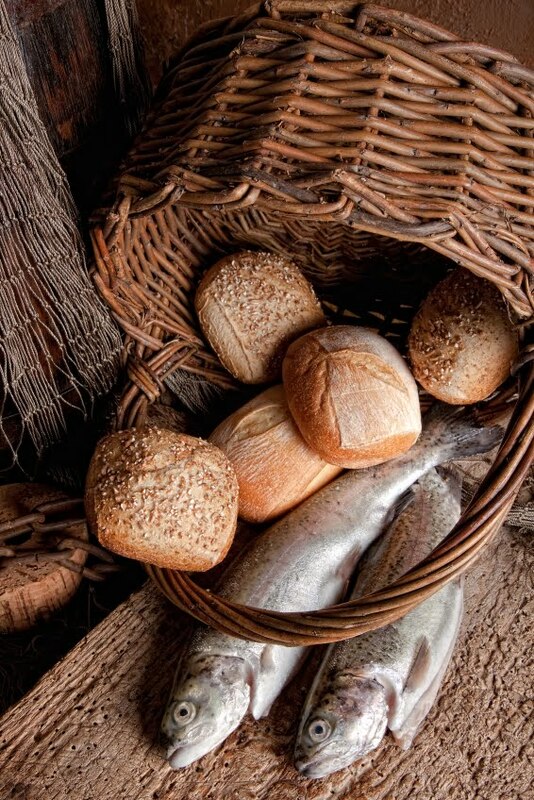 ‘We have nothing here but five loaves and two fish!’ ‘Bring them to me’; he said. The way we share our lives for the sake of the Gospel is only effective if we surrender all that we are and everything that we have to Jesus. He will transform whatever we bring to Him and He will empower us to share it with others for the sake of the Gospel without fear for ourselves and without looking back. In a way, this is what Paul is trying to say to the Romans. He could wish for his own destruction in exchange for salvation for his people. However, that would not be of any use and Paul knows it. Offering his entire life of ministry to God instead is the right way forward. God will bless us, break us – if necessary – and share us among His people. 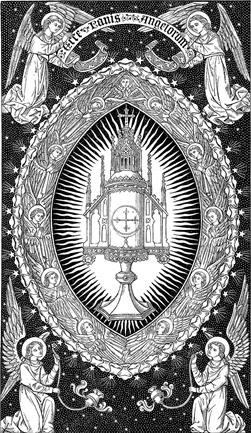 And so we come to the Eucharist. Today’s reading from Matthew describes Jesus as performing specific actions over the loaves and fish that our early Christian brothers and sisters would have immediately associated with the celebrations of the Eucharist. Jesus took the food, looked up to heaven, blessed it, broke it and gave it to his disciples to be distributed. 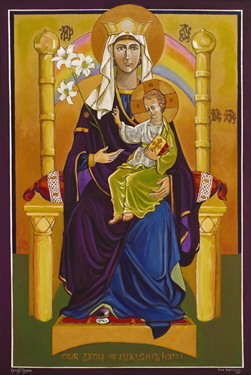 So today, as we offer our sacrifice we bring all that we are together with the bread and the wine and we know the God will transform this gifts into His very self, allowing us to share our lives with others to an extent otherwise not possible for us. So as we take bread, give thanks, break it and share it, it is our own lives we share as we are caught up in Jesus’ own eternal life.